Universal Credit is the main means-tested benefit for those with low incomes, including both those not in paid work and those with low earnings. It is conditional on claimants accepting a ‘claimant commitment’ which is designed as an agreement between the claimant and the Department for Work and Pensions, based on what the claimant will do to improve their earnings or work prospects. The Social Security Advisory Committee is interested in understanding how the claim ant commitment is working. Social security benefits that provide an income for those who are unemployed have always been conditional on certain factors, normally related to the claimant satisfying work-focused obligations. This conditional arrangement is meant to help balance the need to provide income for people who have no wages with encouraging them to get paid employment and move off benefits. Over time, this conditional entitlement has become formalised into an ‘agreement’ between the claimant and the state, with the claimant agreeing to make themselves available for work and taking steps to improve their prospects of getting paid work. The most recent version of this is the claimant commitment. This is a central part of Universal Credit, linking benefit entitlement to the claimant’s agreement to take certain steps to meet work-related obligations. The claimant commitment is intended to be a personalised agreement between the claimant and the state, based on the claimant’s personal circumstances and what it is reasonable to expect them to do to improve their work prospects. It is meant to respond flexibly to updates in the claimant’s circumstances and to support them in their work search activities. Claimants are required to demonstrate ongoing compliance with the commitment and failure to do so may lead to sanctions being imposed. 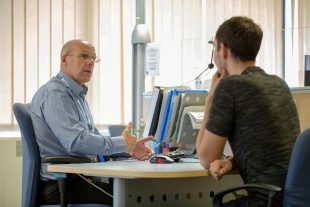 Universal Credit is available to people with a wide range of circumstances, including those who are not expected to look for work. 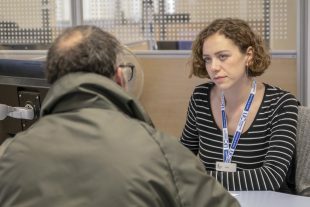 While it is important to understand how universal credit is working for everyone, our research is focused on how the claimant commitment works for those in the all-work related activity group. In this group, claimants must do all they can to find a job or earn more, which includes looking for jobs, applying for jobs and going to interviews. It applies to those who are not currently working and to those in work who are earning less that the Universal Credit working allowance. Part of the claimant commitment is about what the state will do to help claimants get into or increase their work. This might involve helping claimants improve their skills or qualifications, or providing them with mentoring and coaching. We are interested in finding out if this support is effective. How does the commitment work in practice? In order to understand how the claimant commitment is working for claimants in the all work-related activity group, there are a number of issues that we want to focus on. The first is the personalised nature of the claimant commitment. We would welcome evidence about how a claimant’s circumstances are factored into the claimant commitment, including where those circumstances change over time. We think this is likely to be particularly important for claimants with potential restrictions on their work ability, such as caring responsibilities or a disability. We want to understand if claimants feel their claimant commitment accurately reflects their situation. Given that work coaches have the discretion to personalise a claimant commitment we also want to understand if claimants are being treated consistently. Is there a concern that claimants in similar positions being treated differently by work coaches? The second issue we are looking at is that of understanding and trust. We would like to know whether claimants completely understand and accept their claimant commitment, or whether there is confusion over what they are required to do. That involves understanding how the claimant commitment is used as part of an ongoing claimant and work coach relationship. We think this is likely to be important in understanding whether the claimant commitment helps instil trust in and support for the social security system. Thirdly, we are interested in whether the claimant commitment provides effective support for claimants. We are keen to receive evidence on whether the claimant commitment is an effective tool for supporting people into or progressing in work. This may include considering how work coaches and claimants engage with partner organisations, for example training and education providers, to support people into (or to progress in) work. Does the commitment help claimants improve their work prospects? Finally, we are interested in learning lessons from other countries, looking at other examples of where the state can support people into work, or to increase their earnings or hours while in work. We would be very interested in any evidence on whether job search agreements like the claimant commitment are effective and whether there are lessons to be learned in terms of the design and use of such agreements. Our call for evidence is open until 16 April and we would encourage all those organisations and individuals who have relevant insights or evidence to focus on the issues above to help us understand how the claimant commitment is working in practice.